You are here: Home » Footballers; Are we expecting too much or are we right to be disappointed? The modern footballer is nowadays just a trivial hate figure, used by the media as a target of pretty much all criticism possible. Today’s player is both an idol and a despised, greedy idiot. I spend a great deal of time questioning their behaviour and the motives behind much of what many of them do. Then it occurred to me; Why? Why am I looking at players as some type of modern day moral compass of society? Because I am, a lot of the time, I’m not the only one either. We all do it. I’m a father, I have a normal job and as most young boys do, once dreamt of becoming a footballer. I still do, at 25 years old! I don’t think you ever lose that feeling of thinking occasionally, no matter how absurd, that you could still make it as a player. I wonder, do we criticise players so much because of our desperation to be in their situation? We’re jealous of them, we want to be like them and therefore perhaps, it is only then natural to see more faults. Now, when footballers do silly things, (which, is every week) there is a huge outpouring of morally superior criticism from all angles. Obviously when one of them bites another on the arm, for no reason, then I’d say any criticism is more than justified. But it’s the rest of the time that I’ve realised we are perhaps going overboard with most with our expectations of how these heroes and villains should behave. Here’s a list of things that normal people, (non-footballers) do, all the time; Have affairs, steal things, get into fights, get pictures taken of themselves drunk, get into arguments on the internet, drive faster than the speed limit, have children at a young age, have lots of children by many different women, get arrested for something they may not have done, say very, very stupid things. When a footballer does any of the above, why is it seen as being 10x worse? I am as guilty as the next guy for suggesting a player doing something wrong is disgraceful etc but surely we hear about these things happening in everyday life, as part of office gossip or through reading a newspaper and hardly pay them much attention. Footballers are humans, who have jobs. A job we’d all like yes, but as much of a position of privilege they are in, can they really be held accountable for being pillars of behaviour and upstanding members of the community for our children to aspire to be like? Should we not be those role models ourselves, instead of relying on footballers to guide our kids? Much like politicians, musicians and all other celebrity type figures, any footballer places a foot wrong and it’s widely reported, most of the time sensationalised and over reported for the purpose of either selling newspapers or gaining listeners to a radio show. (yes Talksport, I’m talking about you!) But my point remains, why are we expecting people the same as all of us just in positions of privilege to be instinctively better behaved or more sensible than the rest of us. What made me think of this was the woman who called up a radio show, claiming her son was bitten at school by another pupil and that Luis Suarez was to blame. It was his fault that another child bit her son apparently. When did we stop teaching right from wrong but also taking the blame when needed? 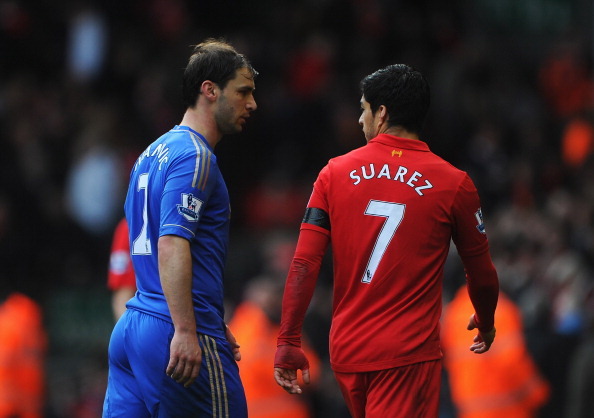 Suarez biting Ivanovic is one of the most disgusting and ridiculous things I’ve ever seen on a football pitch but, if my 3yr old bites another child and then blames someone else, I’d feel like I’d failed as a parent somewhat. We cannot pin the hopes of good behaviour being set by footballers. All the things we read and hear about players doing, happen right in front of our very eyes, every day. But Soaps are full of story lines involving crime and bad behaviour towards people. The news is on many occasions an eye opener to quite how despicable and desperate human beings can be. Are we really surprised when one or 2 of them make stupid mistakes who just so happen to be employed as a footballer? There are endless faults in every area of life. Sport however gets treated differently. Sportsmen are seen as idols. Quite rightly but that in turn allows us to be more disappointed when they let us down. Our footballers are not the only sportsmen who do things that they shouldn’t but for some reason, maybe because it’s the nation’s game, maybe it’s because of the money they get paid but they are vilified much more than others in say, Rugby or Athletics for making errors. It isn’t more wrong because a footballer has done it. I need to start telling myself that. I’m a 25yr old Dad of 2 boys. Enjoy writing about various football topics when I have some free time. Non biased Villa fan. In love with Andi Weimann. I’m no expert, these are just my thoughts, just a fans opinion, on the latest goings on, in the sometimes, not so beautiful game. Appreciate you reading my thoughts. Any feedback or comments are always welcome. 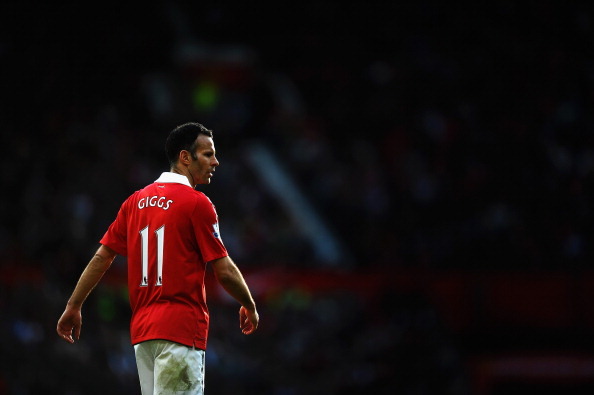 ← Has Ashley Young played his last game for Manchester United?